34-year-old doctor of microbiology stumbles upon a new strain of bacteria during clinical testing. A doctor at Maayanei Hayeshua hospital has discovered a new strain of bacteria. The surprise discovery came as he was examining a patient’s blood culture. 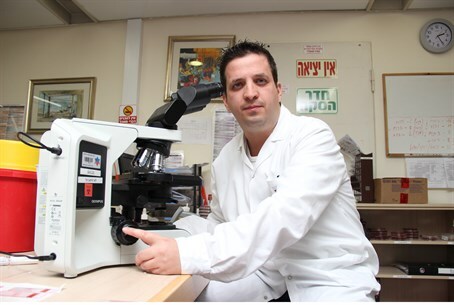 Dr. Itai Amir, 34, was testing an elderly patient’s blood when he noticed something unusual. “In the blood culture, we found that this bacteria was not of the type we are familiar with,” said Amir, who is a doctor of microbiology. “We did a molecular analysis and discovered that it is a new bacterium,” he continued. The bacteria was sent to the United States to have the tests confirmed, and four months later, a response came: the bacteria was indeed a new variety. “You don’t discover a new bacteria in a clinical lab for patient testing every day,” he said. Amir thanked the hospital management for supporting research into the new find. The bacteria has been named Eisenbergiella Tayi, after Dr. Phillip Eisenberg, a Jewish microbiologist who was murdered in the Holocaust, and Dr. Warren Tay, who discovered Tay-Sachs, a fatal genetic illness that is particularly prevalent among Jews of European descent. Doctors generally refer to bacteria by their initials, and the initials of the new bacteria will spell out E-Tay, which fittingly will sound just like Amir's first name.